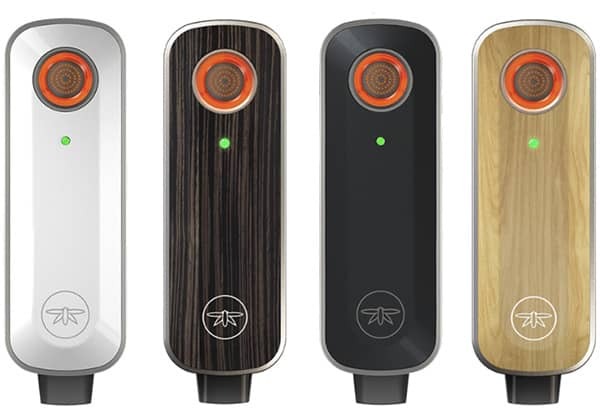 The FireFly 2 falls into the class of the vape market’s top rated dry herb vapes. 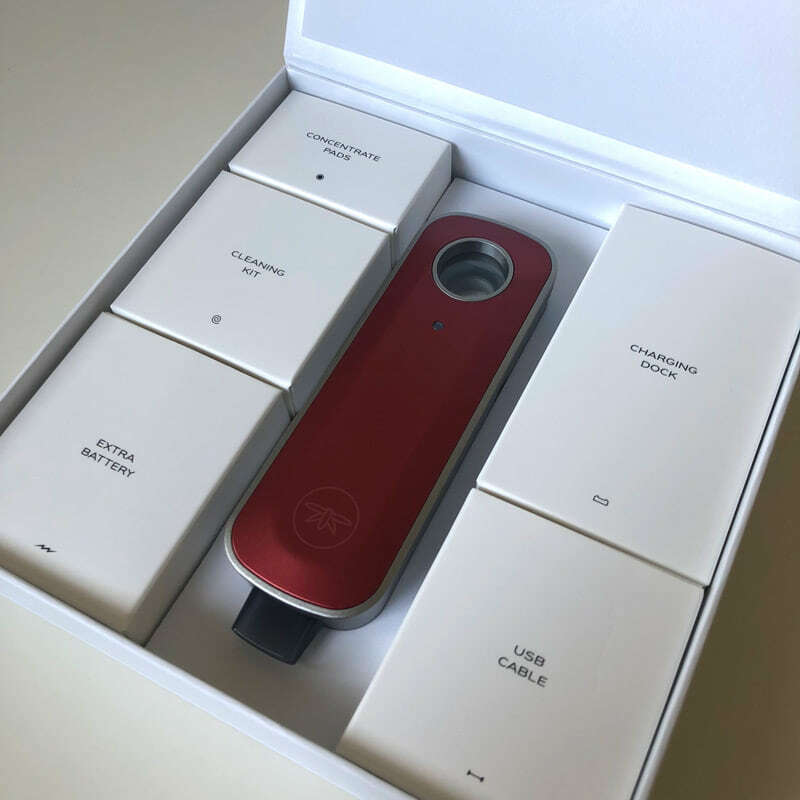 With its technologically sophisticated design and hefty price tag, the FireFly ranks among the most popular high-end vapes including the PAX 3, Haze Dual V3, DaVinci IQ, and the Mighty vaporizers. 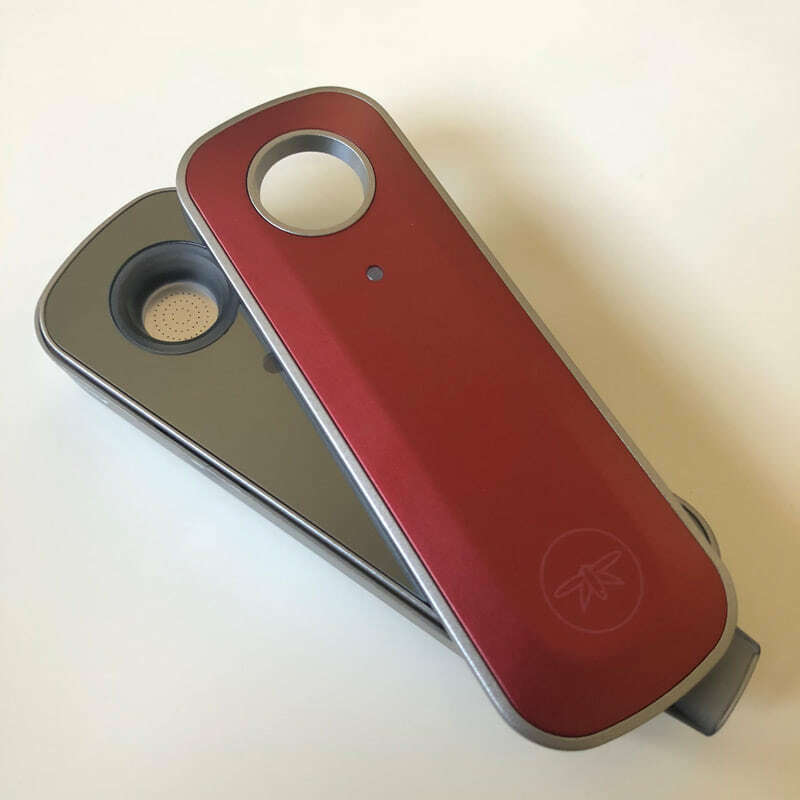 What makes the FireFly 2 awesome? 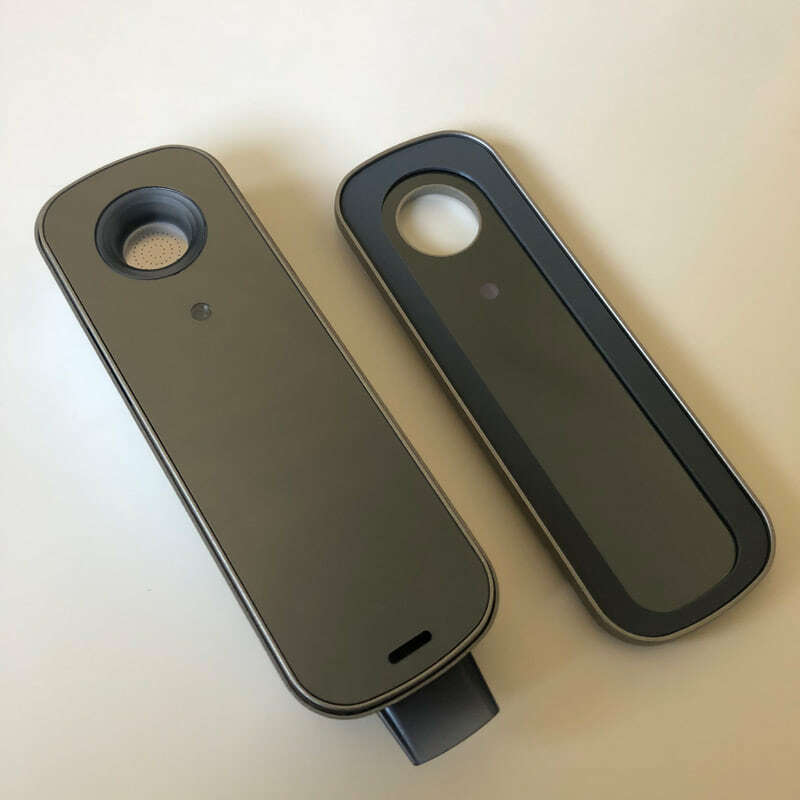 The FireFly 2 model is the latest generation, a huge improvement over the original design which is no longer in production. In its most basic form, the FireFly vape is designed like a very slick pipe. It has a bowl piece where you pack your cannabis and a mouthpiece on the opposite end. 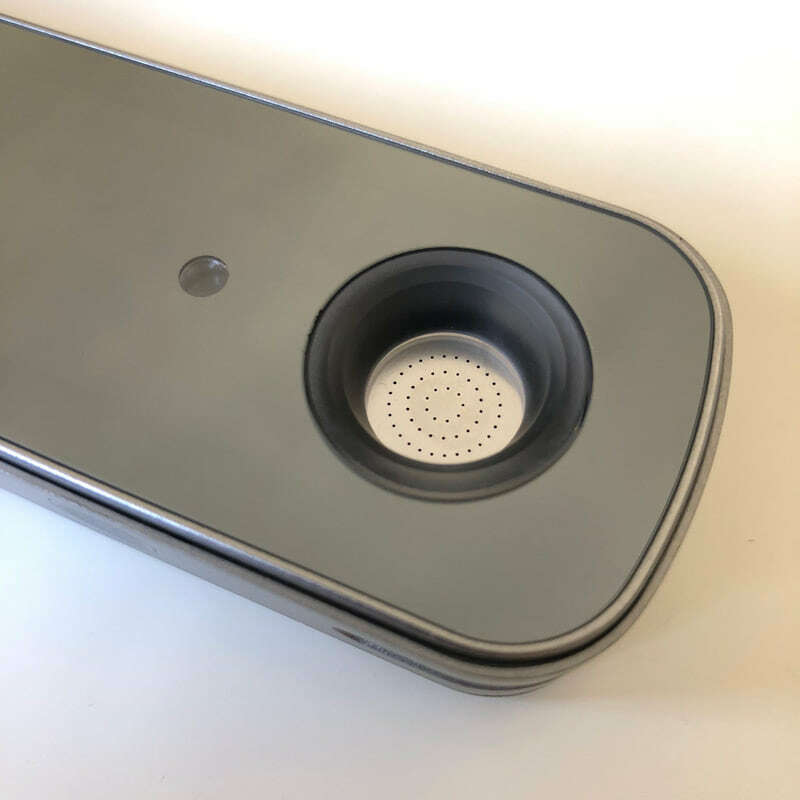 Now add in quality materials like borosilicate glass for a clean vapor path and dynamic convection heating technology activated by touch sensitivity. 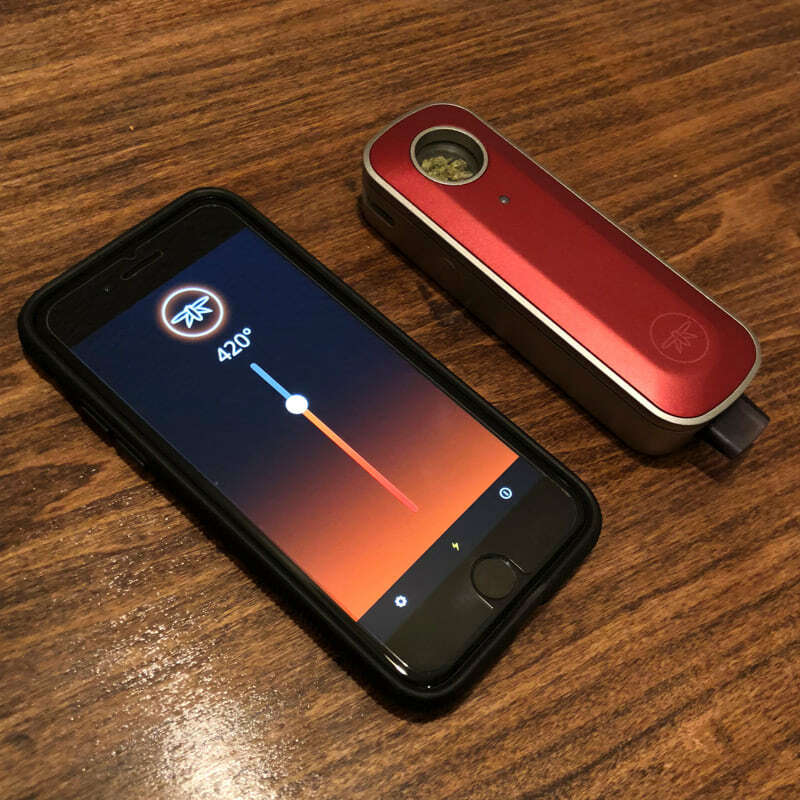 Aside from its high-grade materials and beautiful aesthetic, the FireFly vaporizer is bluetooth app-enabled for precise control. 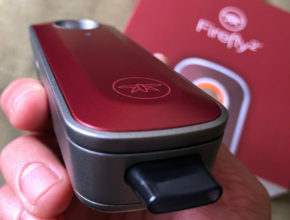 The FireFly vaporizer heats to over 400 F degrees in less than 5 seconds and it performs incredibly well. 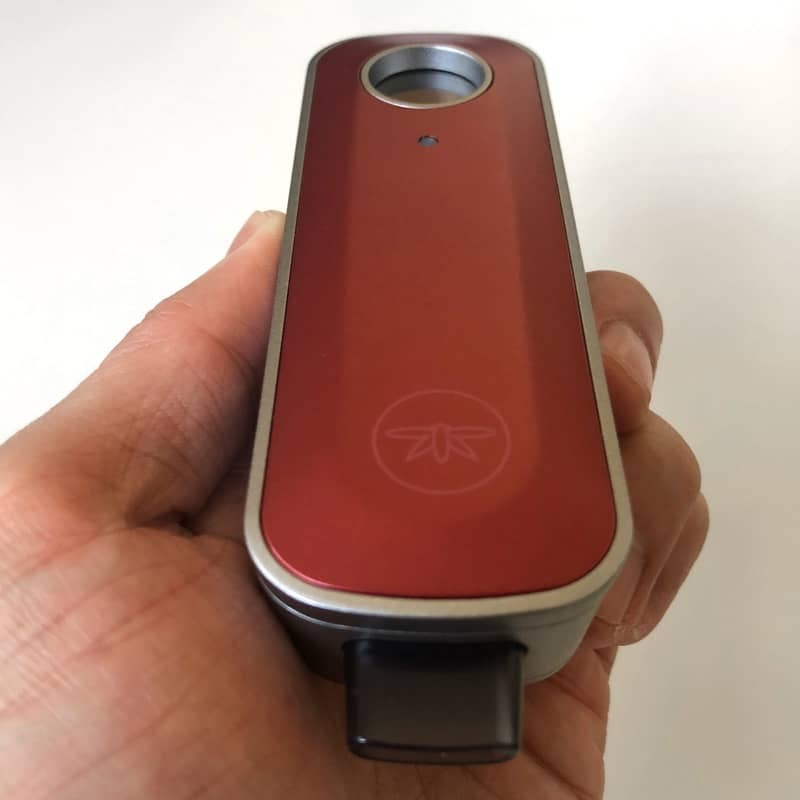 Although designed primarily for dry herb, the FireFly is a combo vape, capable of vaping cannabis concentrates like wax and oils. The FireFly is made from high-grade materials. The body of the vape is made of a metal alloy with a borosilicate glass airpath and silicone gaskets. Vapors passing through this clean airway are exceptionally tasty without any rubber or plastic-like tastes. You’ll find similar vapor taste as with the Hydrology9 and Davinci IQ which use similar high-quality materials. 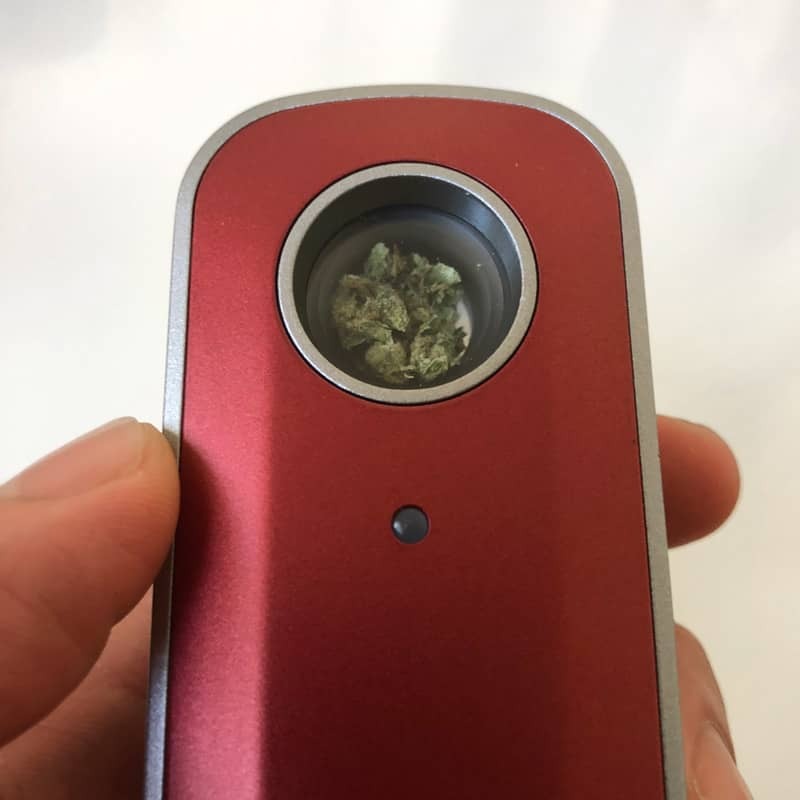 The bowl piece has micro-drilled slots that allow for hot air to pass through your cannabis, effectively vaping the contents by convection heating. No direct contact to the heating element and no burning of your buds. 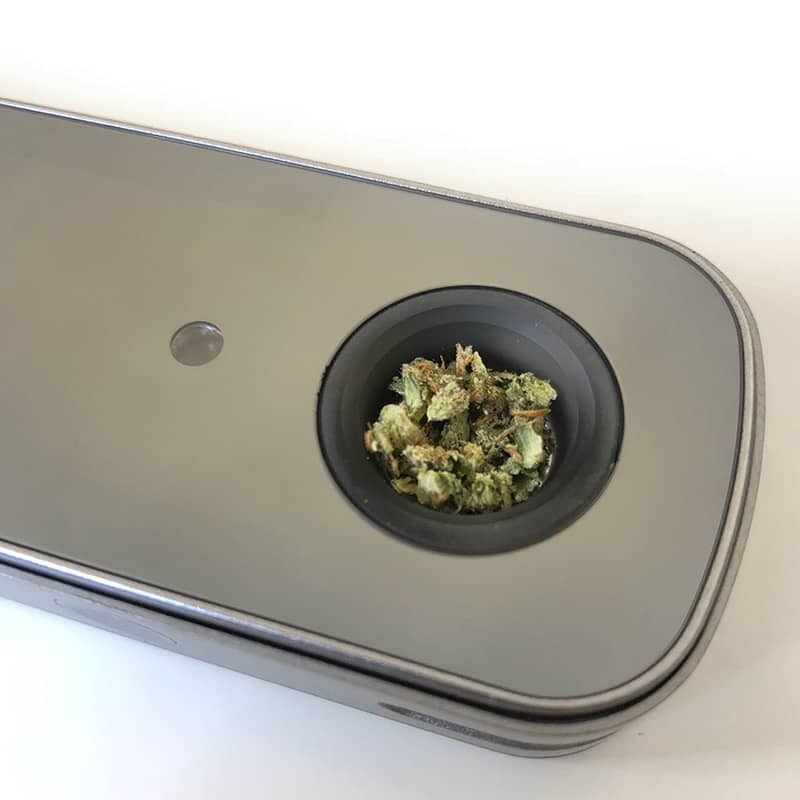 The bowl piece is covered by a removable, magnetic lid/faceplate. When fixed on top of the vape, this lid forms the seal of the vapor path. Because the lid fully detaches, it makes for easy cleaning maintenance. There’s also many replacement lid colors available to customize the FireFly to fit your personal style. 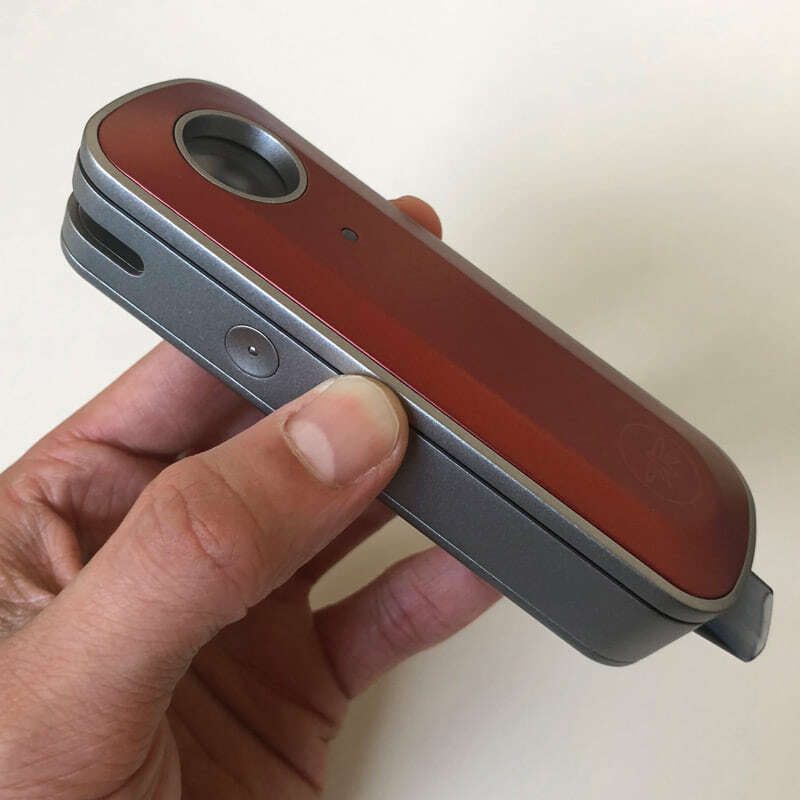 The FireFly is controlled and activated by touch sensitive buttons on either side of the vape. These controls are used for different functions like cycling through the seven default temperature presets and activating heating on-demand. 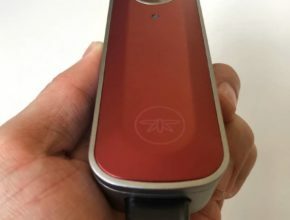 The FireFly is unique to any other dry herb vaporizer out so there is a slight learning curve. 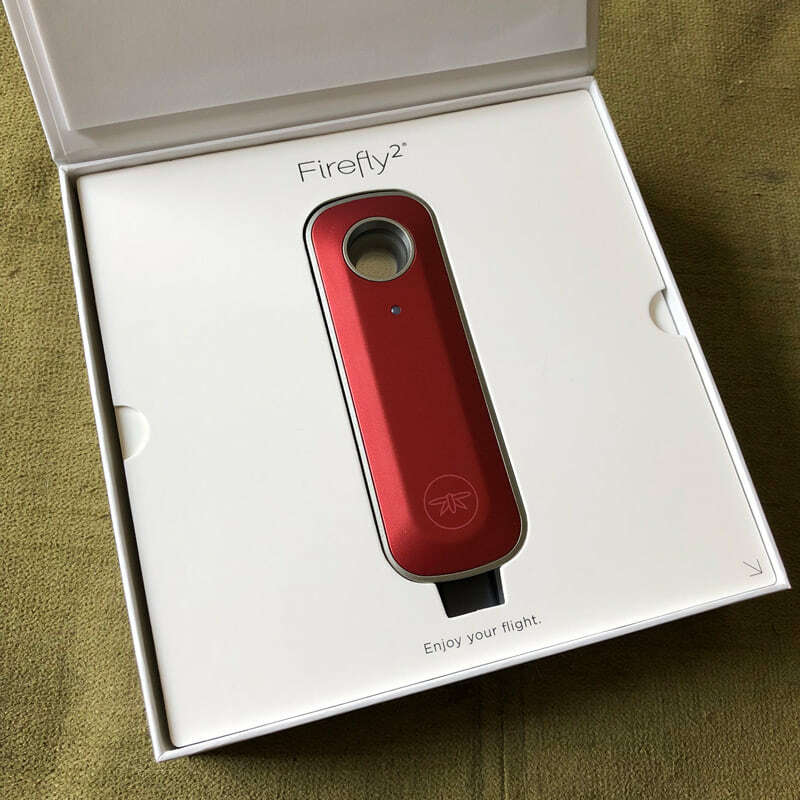 Using the Firefly isn’t intuitive as buttons are not labeled and requires remembering different patterns to operate. However, a quick breeze through these instructions will give you a good idea of how to operate this vaporizer. Remove the magnetic lid by lifting up on either side of the lid to expose the heating chamber/bowl. Pack a bowl of coarsely ground dry herb. Fill the chamber until it’s slightly past the rim of the bowl and gently tap down. Make sure the surface is free of any debris and that it creates a tight seal before replacing the lid. Touch and hold both sensors on either side of the vape to start heating. The bowl will immediately begin to glow red. When the LED blinks green two times and turns solid green, it’s time to puff puff. Continue to hold the touch sensors while you take long, deep inhales. Release the sensors when you’re done and the vape will immediately start to cool down. After a few draws, you’ll want to stir up the bowl and try again for an even toke. 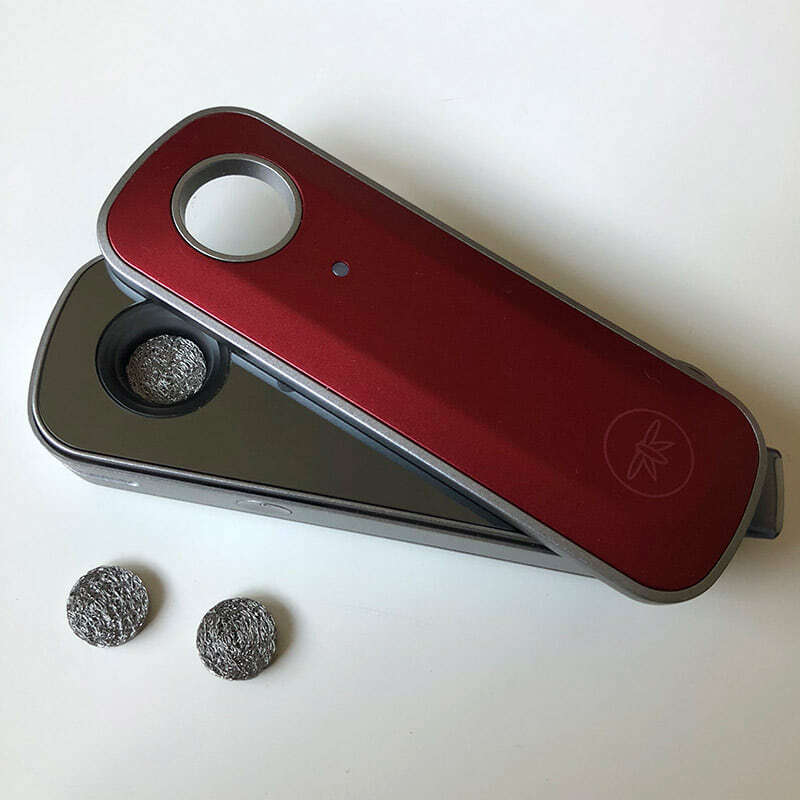 To vape wax and concentrates, insert one of the included metal concentrate pads into the bowl. Then drop a tiny dab of concentrate on the pad. Careful not to over do it to prevent clogging. While holding down the right button, tap the left button 3-times quickly. This puts the Firefly into temp setting mode. Continue to hold down the right button and tap the left button to cycle through the temperature presets. The LED blinks red 1 to 7 times to indicate the current set temp. Make 1 tap for the lowest heat setting (320 F) and make up to 7 taps for the highest setting. For concentrates, you’ll want to use the 7th tap (500 F). Check battery levels by tapping the right touch sensor three times quickly and watch for the LED indicator. 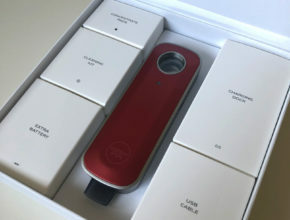 The FireFly includes a proprietary charging dock that uses a USB 3.0 connection. Plug the USB cable into any standard USB adapter and place the FireFly on the charging dock. 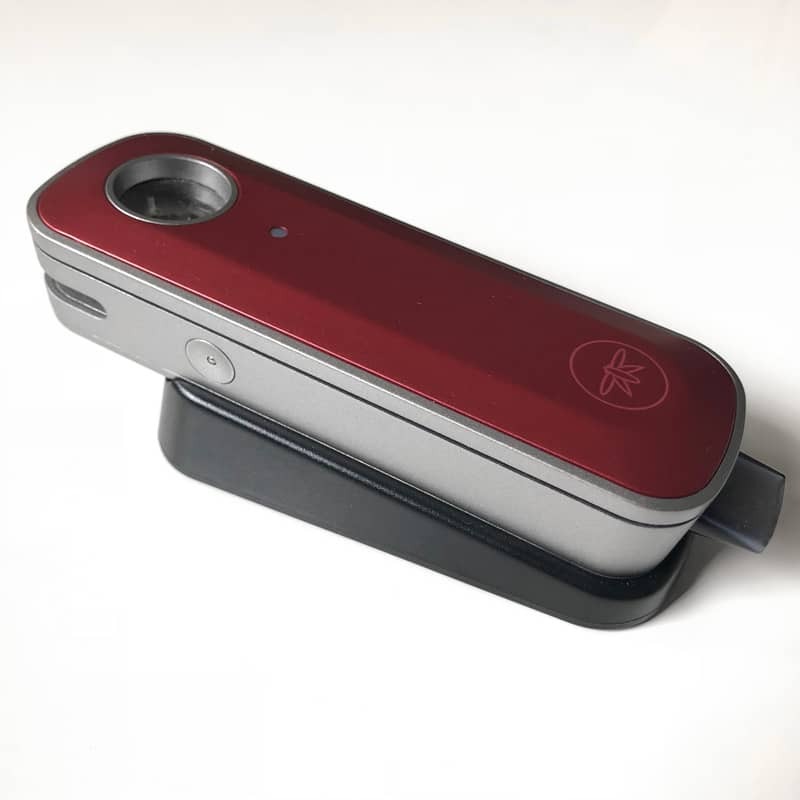 Let the vaporizer sit for a few hours until you see a solid blue light meaning the battery is fully charged. PRO tip: for the fastest charge time, use a wall adapter that is at least 9 Watts. This will charge the Firefly within an hour. 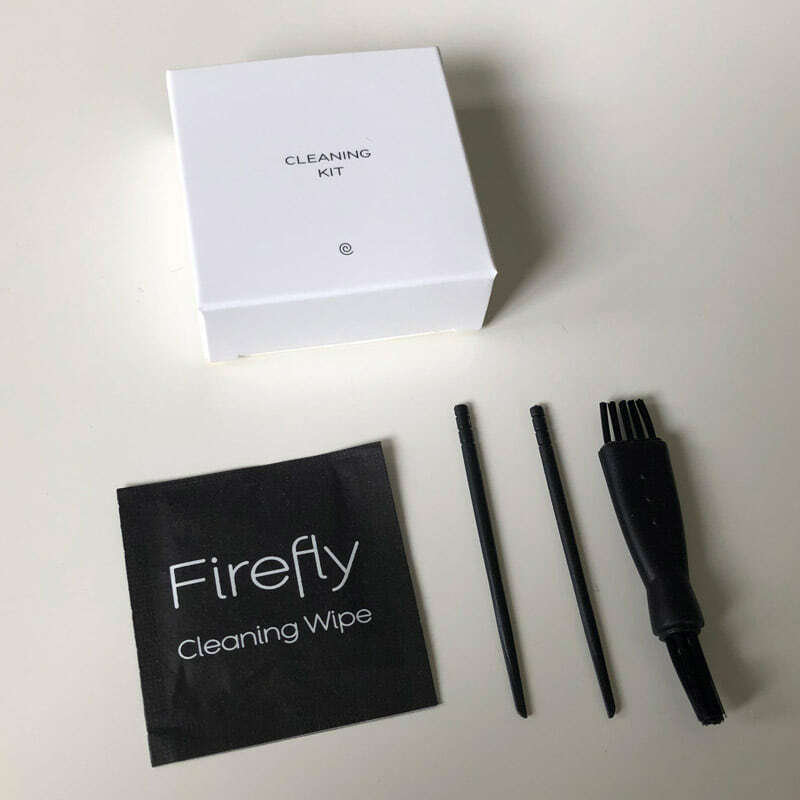 With much anticipation to use the FireFly, we quickly unboxed the vaporizer, attempting to use it without reading the instructions… and FAILED! The first issue we ran into was trying to figure out just how to remove the lid to pack a bowl. It was surprisingly difficult to remove at first and we were worried about damaging the vape. As it turns out, the silicon gasket that seals the lid to the glass plate beneath can be extremely sticky when you try to remove the lid for the firs time. Once removed for the first time, it was no longer an issue. If you experience any trouble removing the lid for the first, rest assured, you’re not going to break anything and it gets easier. The next issue we ran into were strange power cutoffs. At about 3-seconds into a heating cycle, the indicator light would flash red and the vape would cut off. This appears to be an issue with the battery running low, although both the FireFly app and the battery light indicator on the device were showing 50% battery level. 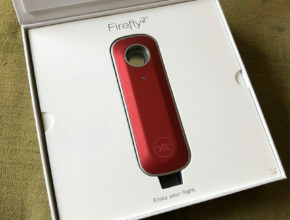 The FireFly has a built-in auto-cutoff feature that prevents overheating. We let the vape rest, fully recharged it and the problem went away. We recommend downloading and using the FireFly app. This makes it a lot easier to adjust heating temperatures, check battery levels, and few other things. Otherwise, you’ll have to remember the touch sensitive button patterns to operate the device. Once we got the hang of how to actually use the FireFly, we could truly enjoy the nice, smooth and tasty draws we’d get from it. You’ll have to play around with how fine versus coarse to grind your cannabis and how much to pack it down. 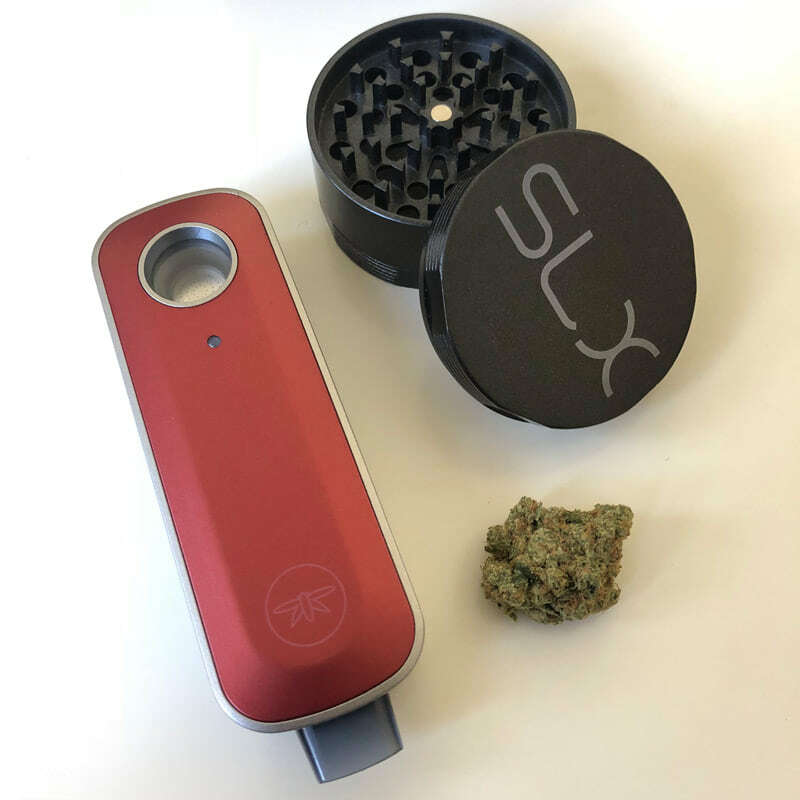 The SLX non-stick grinder creates a coarse grind that is optimal for the FireFly. Experiment with the temps as well. At low temps you’ll get incredible flavor transfer, but at higher temps you’ll get better pulls. You’ll have to figure out the balance to get this dialed in for yourself. We got really nice draws out of the FireFly vape when vaping to wax. It’s easy to insert the concentrate pads to switch over from flower. However, once the pads get saturated with wax, they become really sticky and hard to dislodge from the bowl. This makes switching back to flower a pain in the you know what. You’ll have to pre-heat the bowl to loosen the sticky concentrates before prying the pads out. This design could use some improvement to make it easier to switch between different types of cannabis. For now, we’ll probably stick to using the FireFly vape for just flower, but it does produce nice vapor either way. The FireFly is one of the fanciest, portable dry herb vapes out. There’s no question that it’s well designed, looks and performs great. 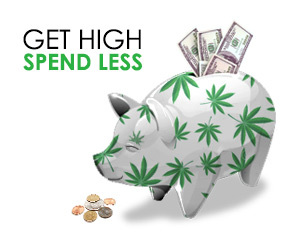 But with the hefty price tag and learning curve to get the optimal vape session, you might want to consider your options before forking over the cash. 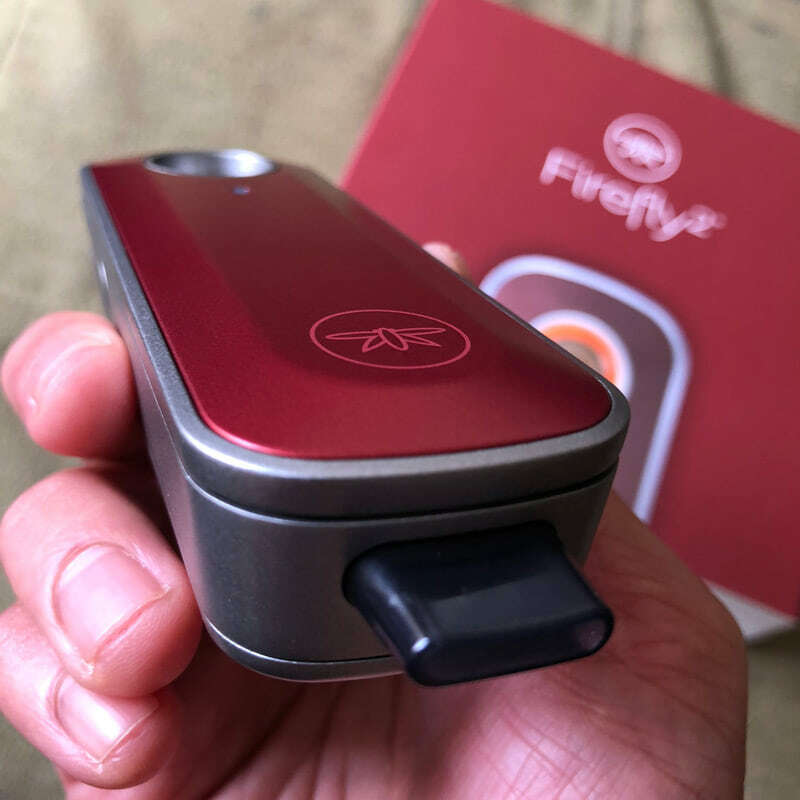 If you’re planning on vaping strictly dry herb, enjoy the latest technology, and if it fits within your budget, then you’ll have some good times with the FireFly. 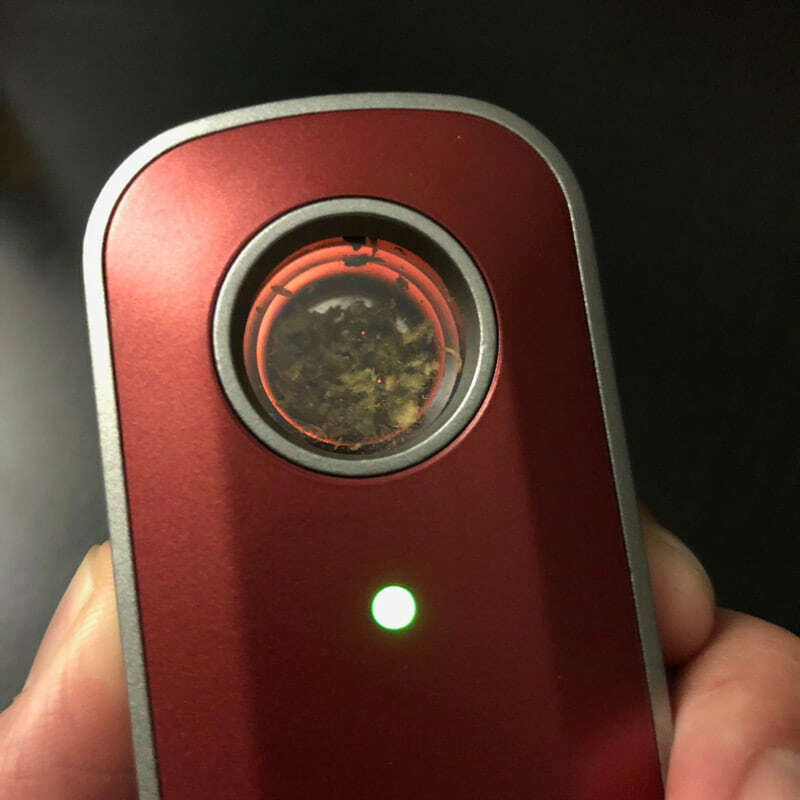 The touch sensitivity and on-demand heating are cool, but in the end, we found the clean vapor path and smooth hits are what really make the FireFly shine. 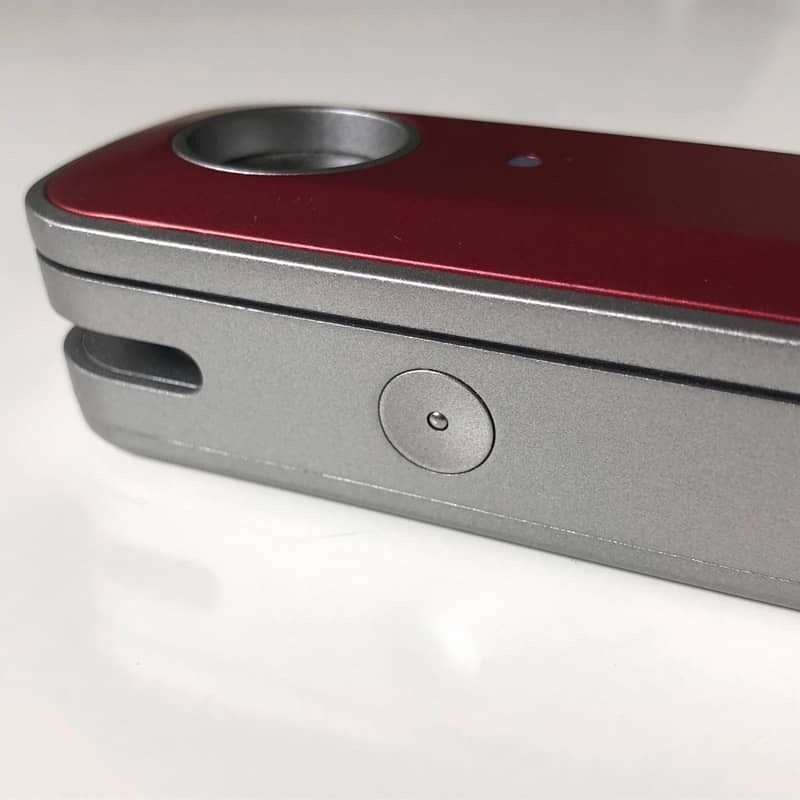 The FireFly 2 vaporizer is available online for $329.95 directly through VapeWorld and backed by a 2-year warranty. Special Deal: For limited time, every FireFly purchase at VapeWorld includes a free 4-piece aluminum grinder and mini airtight container. Download the FireFly vaporizer app for Android and iOS.